H. Yang, D. Zhao, J.-H. Seo, S. Chuwongin, S. Kim, J.A. Rogers, Z. Ma, and W. Zhou, "Broadband Membrane Reflectors on Glass," IEEE Photonics Technology Letters 24, 476-478 (2012). J. Wu, H. Cheng, M. Li, A. Carlson, S. Kim, Y. Huang, Z. Kang, K.-C. Hwang, and J.A. Rogers, "A Viscoelastic Model for the Rate Effect in Transfer Printing," ASME Journal of Applied Mechanics 1, 410 (2012). J.C. Shin, P.K. Mohseni, K.J. Yu, S. Tomasulo, K.H. Montgomery, M.L. Lee, J.A. Rogers and X. Li, "Heterogeneous Integration of InGaAs Nanowires on the Rear Surface of Si Solar Cells for Efficiency Enhancement," ACS Nano 6(12), 11074-11079 (2012). C. Lu, Y. Li, J. Song, H.-S. Kim, E. Brueckner, B. Fang, K.-C. Hwang, Y. Huang, R.G. Nuzzo and J.A. Rogers, "A Thermal Analysis of the Operation of Microscale, Inorganic Light-Emitting Diodes," Proceedings of the Royal Society A 468, 3215-3223 (2012). T. Song, H. Cheng, H. Choi, J.-H. Lee, H. Han, D.H. Lee, D.S. Yoo, M.-S. Kwon, J.-M. Choi, S.G. Doo, H. Chang, J. Xiao, Y. Huang, W.I. Park, Y.-C. Chung, H. Kim, J.A. 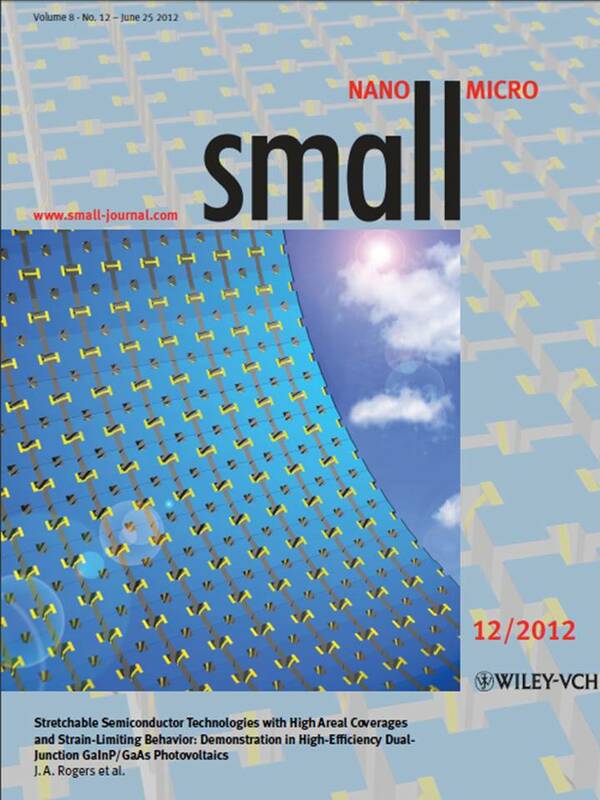 Rogers and U. Paik, "Si/Ge Double-Layered Nanotube Array as a Lithium Ion Battery Anode," ACS Nano 6(1), 303-309 (2012). D.H. Lee, J. Yi, J.M. Lee, S.J. Lee, Y.-J. Doh, H.Y. Jeong, Z. Lee, U. Paik, J.A. Rogers and W.I. 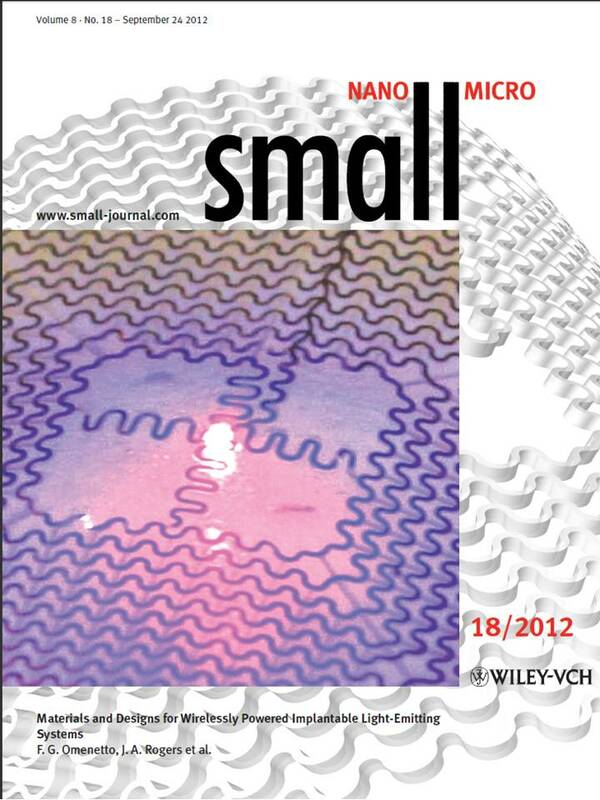 Park, "Engineering Electronic Properties of Graphene by Coupling with Si-Rich, Two-Dimensional Islands," ACS Nano 7(1), 301-307 (2012). D.-H. Kim, R. Ghaffari, N. Lu, S. Wang, S.P. Leeb, H. Keume, R. D'Angelo, L. Klinker, Y. Su, C. Lu, Y.-S. Kim, A. Ameen, Y. Li, Y. Zhang, B. de Graff, Y.-Y. Hsu, Z. Liu, J. Ruskin, L. Xu, C. Lu, F.G. Omenetto, Y. Huang, M. Mansour, M.J. Slepian and J.A. Rogers, "Electronic Sensor and Actuator Webs for Large-Area Complex Geometry Cardiac Mapping and Therapy," Proceedings of the National Academy of Sciences USA, 109(49) 19910-19915 (2012). R. Saeidpourazar, R. Li, Y. Li, M.D. Sangid, C. L�, Y. Huang, J.A. Rogers and P.M. Ferreira, "Laser-Driven Micro-Transfer Placement of Prefabricated Microstructures," Journal of Microelectromechanical Systems 21(5), 1049-1058 (2012). R. Saeidpourazara, M.D. Sangid, J.A. Rogers and P.M. Ferreira,"A Prototype Printer for Laser Driven Micro-transfer Printing," Journal of Manufacturing Processes 14, 416-424 (2012). K. Shigeta, Y. He, E. Sutanto, S. Kang, A.-P. Le, R.G. Nuzzo, A.G. Alleyne, P.M. Ferreira, Y. Lu and J.A. 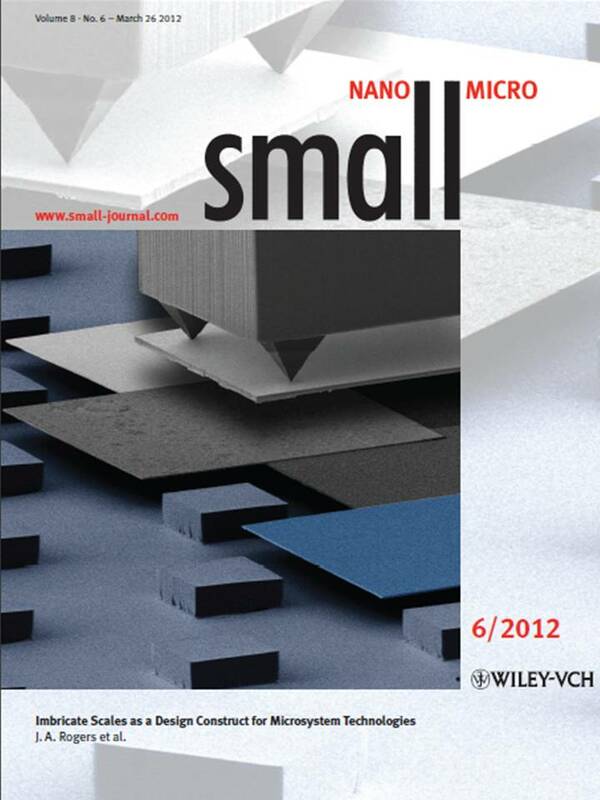 Rogers, "Functional Protein Microarrays by Electrohydrodynamic Jet Printing," Analytical Chemistry 84, 10012-10018 (2012). X. Xie, A.E. Islam, M.A. Wahab, L. Ye, X. Ho, M.A. Alam and J.A. 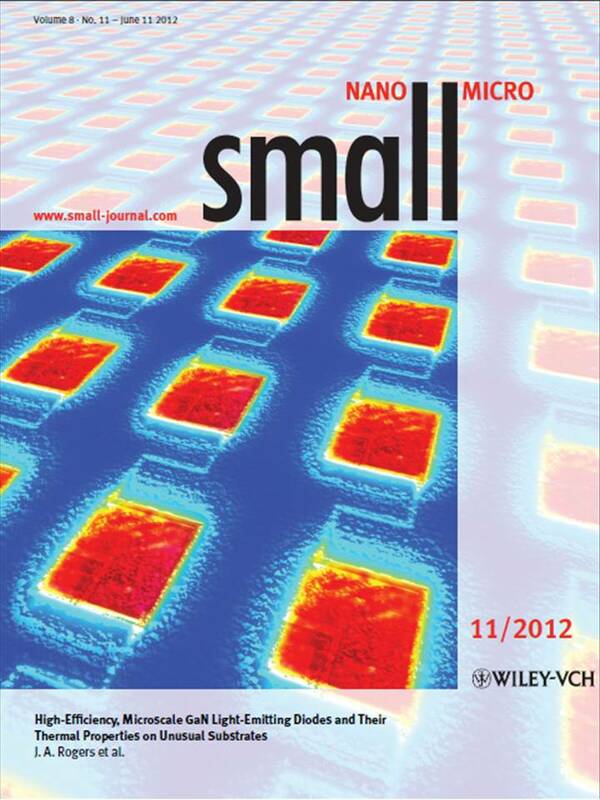 Rogers, "Electroluminescence in Aligned Arrays of Single-Wall Carbon Nanotubes with Asymmetric Contacts," ACS Nano 6(9), 7981-7988 (2012). X. Xie, K.L. Grosse, J. Song, C. Lu, S. Dunham, F. Du, A.E. Islam, Y. Li, Y. Zhang, E. Pop, Y. Huang, W.P. King and J.A. Rogers, "Quantitative Thermal Imaging of Single-Walled Carbon Nanotube Devices by Scanning Joule Expansion Microscopy," ACS Nano 6(11), 10267-10275 (2012). S.-W. Hwang, H. Tao, D.-H. Kim, H. Cheng, J.-K. Song, E. Rill, M.A. Brenckle, B. Panilaitis, S.M. Won, Y.-S. Kim, Y.M. Song, K.J. Yu, A. Ameen, R. Li, Y. Su, M. Yang, D.L. Kaplan, M.R. Zakin, M.J. Slepian, Y. Huang, F.G. Omenetto and J.A. Rogers, "A Physically Transient Form of Silicon Electronics," Science 337, 1640-1644 (2012). J.A. Rogers, "Nanoscale Printing," Science 337, 1459 (2012). A. Carlson, A.M. Bowen, Y. Huang, R.G. Nuzzo and J.A. Rogers, "Transfer Printing Techniques for Materials Assembly and Micro/Nanodevice Fabrication," Advanced Materials 24, 5284-5318 (2012). K. Balasundaram, J.S. Sadhu, J.C. Shin, B. Azeredo, D. Chanda, M. Malik, K. Hsu, J.A. Rogers, P. Ferreira, S. Sinha and X. Li, "Porosity Control in Metal-Assisted Chemical Etching of Degenerately Doped Silicon Nanowires," Nanotechnology 23, 305304 (2012). D.-H. Kim, S. Wang, H. Keum, R. Ghaffari,Y.-S. Kim, H. Tao, B. Panilaitis, M. Li, Z. Kang, F. Omenetto, Y. Huang and J.A. Rogers, "Thin, Flexible Sensors and Actuators as 'Instrumented' Surgical Sutures for Targeted Wound Monitoring and Therapy," Small 8(21), 3263-3268 (2012). R.-H. Kim, S. Kim, Y.M. Song, H. Jeong, T.-I. Kim, J. Lee, X. Li, K.D. Choquette and J.A. Rogers, "Flexible Vertical Light Emitting Diodes," Small 8(20), 3123-3128 (2012). R.-H. Kim, H. Tao, T.-I. Kim, Y. Zhang, S. Kim, B. Panilaitis, M. Yang, D.-H. Kim, Y. Hwan Jung, B.H. Kim, Y. Li, Y. Huang, F.G. Omenetto and J.A. Rogers, "Materials and Designs for Wirelessly Powered Implantable Light-Emitting Systems," Small 8(18), 2812-2818 (2012). A. Carlson, S. Wang, P. Elvikis, P.M. Ferreira, Y. Huang and J.A. Rogers, "Active, Programmable Elastomeric Surfaces with Tunable Adhesion for Deterministic Assembly by Transfer Printing," Advanced Functional Materials 22, 4476-4484 (2012). N. Lu, C. Lu, S. Yang and J. Rogers, "Highly Sensitive Skin-Mountable Strain Gauges Based Entirely on Elastomers," Advanced Functional Materials 22, 4044-4050 (2012). Y. Su, Z. Liu, S. Kim, J. Wu, Y. Huang and J.A. Rogers, "Mechanics of Stretchable Electronics with High Fill Factors," International Journal of Solids and Structures 49 3416-3421 (2012). X. Huang, W.-H. Yeo, Y. Liu and J.A. Rogers, "Epidermal Differential Impedance Sensor for Conformal Skin Hydration Monitoring," Biointerphases 7:52 (2012). DOI 10.1007/s13758-012-0052-8. M. Ying, A.P. 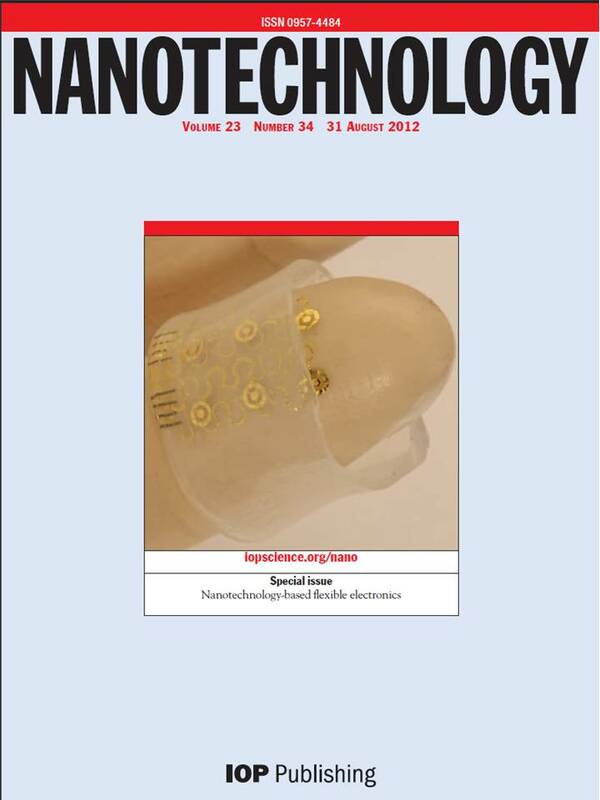 Bonifas, N. Lu, Y. Su, R. Li, H. Cheng, A. Ameen, Y. Huang and J.A Rogers, "Silicon Nanomembranes for Fingertip Electronics," Nanotechnology 23 (2012) 344004. D.-H. Kim, R. Ghaffari, N. Lu and J.A. 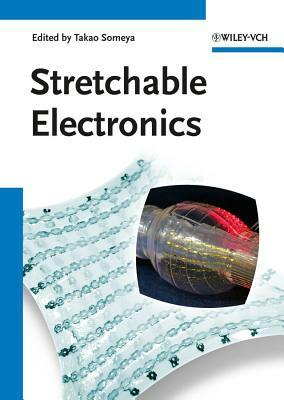 Rogers, "Flexible and Stretchable Electronics for Biointegrated Devices," Annual Review of Biomedical Engineering 14, 113-128 (2012). J. Park, S. Wang, M. Li, C. Ahn, J.K. Hyun, D.S. Kim, D.K. Kim, J.A. Rogers, Y. Huang and S. Jeon, "Three-Dimensional Nanonetworks for Giant Stretchability in Dielectrics and Conductors," Nature Communications 3:916 | DOI: 10.1038/ncomms1929 (2012). R. Li, Y. Li, C. Lu, J. Song, R. Saeidpourazar, B. Fang, Y. Zhong, P.M. Ferreira, J.A. Rogers, Y. Huang, "Axisymmetric Thermo-Mechanical Analysis of Laser-Driven Non-Contact Transfer Printing," International Journal of Fracture 176,189-194 (2012). J. Lee, J. Wu, J.H. Ryu, Z. Liu, M. Meitl, Y.-W. Zhang, Y. Huang and J.A. Rogers, "Stretchable Semiconductor Technologies with High Areal Coverages and Strain-Limiting Behavior: Demonstration in High-Efficiency Dual-Junction GaInP/GaAs Photovoltaics," Small 8(12), 1851-1856 (2012). R. Li, Y. Li, C. Lu, J. Song, R. Saeidpouraza, B. Fang, Y. Zhong, P.M. Ferreira, J.A. Rogers and Y. Huang, "Thermo-Mechanical Modeling of Laser-Driven Non-Contact Transfer Printing: Two-Dimensional Analysis," Soft Matter 8, 3122-3127 (2012). T.-I. Kim, Y.H. Jung, J. Song, D. Kim, Y. Li, H.-S. Kim, I.-S. Song, J.J. Wierer, H.A. Pao, Y. Huang and J.A. Rogers, "High-Efficiency, Microscale GaN Light-Emitting Diodes and Their Thermal Properties on Unusual Substrates," Small 8(11), 1643-1649 (2012). S.H. Jin, A.E. Islam, T.-I. Kim, J.-H. Kim, M.A. Alam and J.A. Rogers, "Sources of Hysteresis in Carbon Nanotube Field-Effect Transistors and Their Elimination Via Methylsiloxane Encapsulants and Optimized Growth Procedures," Advanced Functional Materials 22, 2276-2284 (2012). S.Y. Yang, A. Carlson, H. Cheng, Q. Yu, N. Ahmed, J. Wu, S. Kim, M. Sitti, P.M. Ferreira, Y. Huang, and J.A. Rogers, "Elastomer Surfaces with Directionally Dependent Adhesion Strength and Their Use in Transfer Printing With Continuous Roll-to-Roll Applications," Advanced Materials 24, 2117-2122 (2012). H. Cheng, J. Wu, Q. Yua, H.-J. Kim-Lee, A. Carlson, K.T. Turner, K.-C. Hwang, Y. Huang, and J.A. Rogers, "An Analytical Model for Shear-Enhanced Adhesiveless Transfer Printing," Mechanics Research Communications 43, 46-49 (2012). H. Keum, A. Carlson, H. Ning, A. Mihi, J.D. Eisenhaure, P.V. Braun, J.A. Rogers and S. Kim, "Silicon Micro-Masonry Using Elastomeric Stamps for Three-Dimensional Microfabrication," Journal of Micromechanics and Microengineering 22, 055018 (2012). E. Sutanto, K. Shigeta, Y.K. Kim, P.G. Graf, D.J. Hoelzle, K.L. Barton, A.G. Alleyne, P.M. Ferreira and J.A. Rogers, "A Multimaterial Electrohydrodynamic Jet (E-jet) Printing System," Journal of Micromechanics and Microengineering 22, 045008 (2012). S. Kim, A. Carlson, H. Cheng, S. Lee, J.-K. Park, Y. Huang and J.A. Rogers, "Enhanced Adhesion With Pedestal-Shaped Elastomeric Stamps for Transfer Printing," Applied Physics Letters 100, 171909 (2012). S. Wang, M. Li, J. Wu, D.-H. Kim, N. Lu, Y. Su, Z. Khang, Y. Huang and J.A. 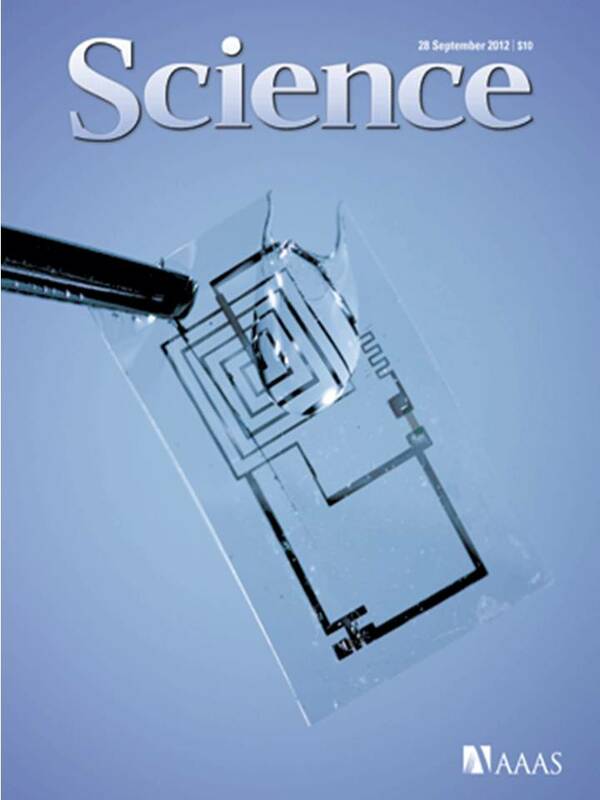 Rogers, "Mechanics of Epidermal Electronics," Journal of Applied Mechanics 79, 031022-1 (2012). N. Ahmed, A. Carlson, J.A. Rogers and P.M. Ferreira, "Automated Micro-Transfer Printing With Cantilevered Stamps," Journal of Manufacturing Processes 14, 90-97 (2012). T.-I. Kim, R.-H. Kim and J.A. 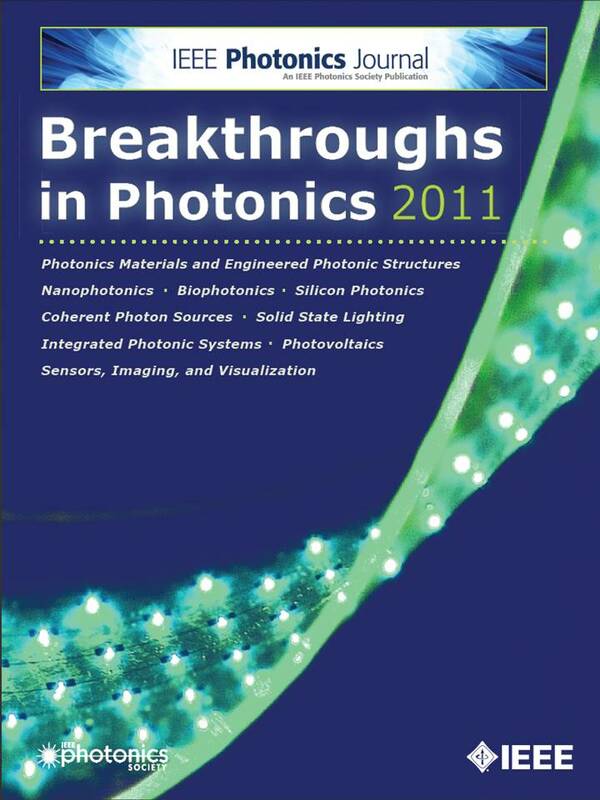 Rogers, "Microscale Inorganic Light-Emitting Diodes on Flexible and Stretchable Substrates," IEEE Photonics Journal 4(2), 607-612 (2012). D.-H. Kim, N. Lu, R. Ghaffari and J.A. 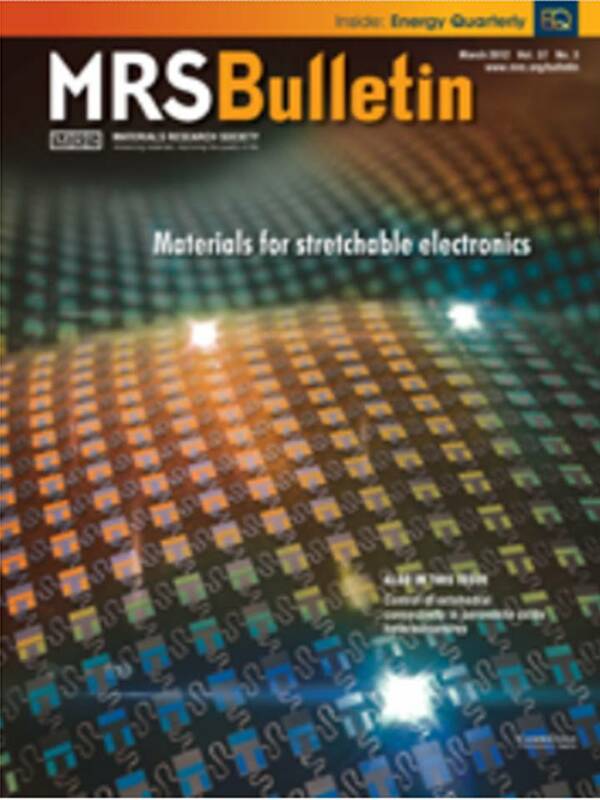 Rogers, "Inorganic Semiconductor Nanomaterials for Flexible and Stretchable Bio-integrated Electronics," NPG Asia Materials 4, e15; doi:10.1038/am.2012.27 (2012). H. Yang, D. Zhao, J.-H. Seo, S. Chuwongin, S. Kim, J.A. Rogers, Z. Ma and W. Zhou, "Broadband Membrane Reflectors on Glass," IEEE Photonics Technology Letters 24(6) 476-478 (2012). A.E. Islam,F. Du, X. Ho, S.H. Jin, S. Dunham and J.A. Rogers, "Effect of Variations in Diameter and Density on the Statistics of Aligned Array Carbon-Nanotube Field Effect Transistors," Journal of Applied Physics 111, 054511 (2012). S. Kim, Y. Su, A. Mihi, S. Lee, Z. Liu, T.K. Bhandakkar, J. Wu, J.B. Geddes III, H.T. Johnson, Y. Zhang, J.-K. Park, P.V. Braun, Y. Huang and J.A. Rogers, "Imbricate Scales as a Design Construct for Microsystem Technologies," Small 8(6), 901-906 (2012). D.-H. Kim, N. Lu. Y. Huang and J.A. Rogers, "Materials for Stretchable Electronics in Bioinspired and Biointegrated Devices," MRS Bulletin 37, 226-235 (2012). Y. Menguc, S.Y. Yang, S. Kim, J.A. 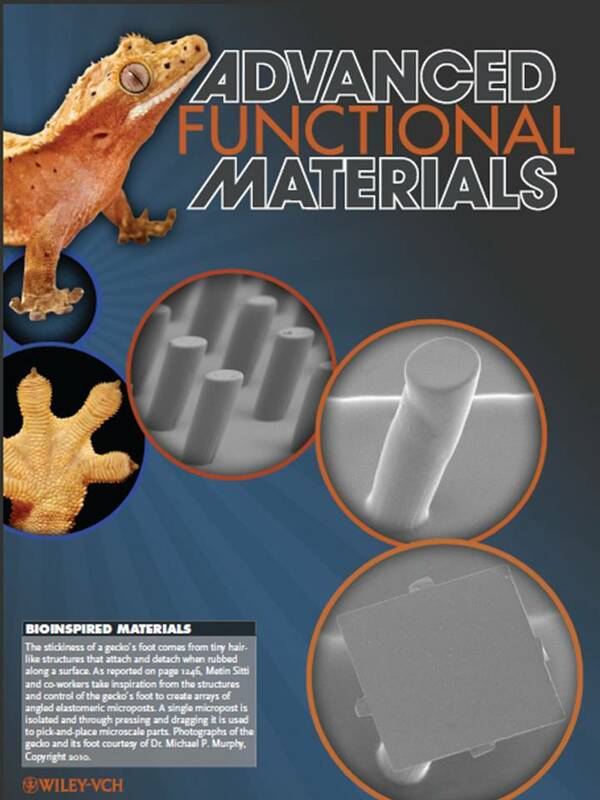 Rogers and M. Sitti, "Gecko-Inspired Controllable Adhesive Structures Applied to Micromanipulation," Advanced Functional Materials 22, 1246-1254 (2012). H. Tao, M.A. Brenckle, M. Yang, J. Zhang, M. Liu, S.M. Siebert, R.D. Averitt, M.S. Mannoor, M.C. McAlpine, J.A. Rogers, D.L. 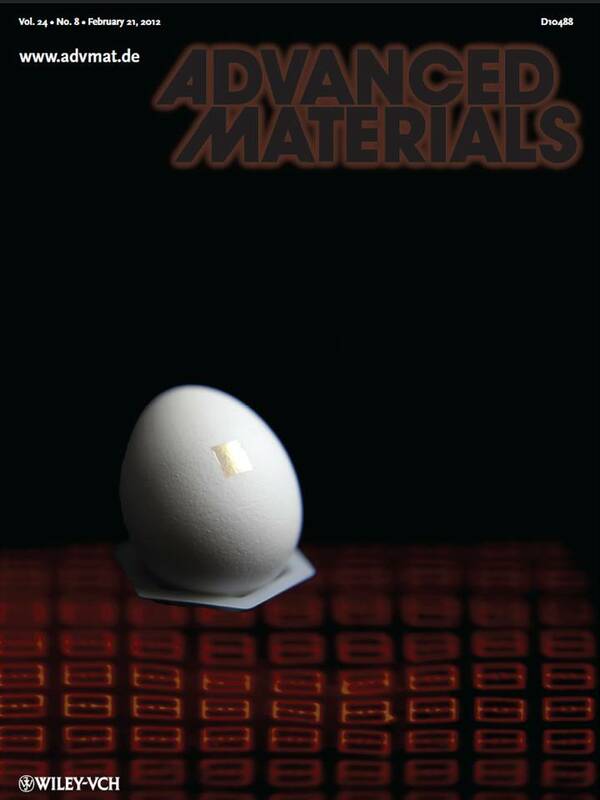 Kaplan and F.G. Omenetto, "Silk-Based Conformal, Adhesive, Edible Food Sensors," Advanced Materials 24, 1067-1072 (2012).